Kazan was founded in 1401 but became the capital of a powerful Tartar Khanate in 1455. It lies at the confluence of the Volga and Kazanka Rivers in European Russia. Kazan’s shipyards and port on the Volga make it an important water transport center. It emerged from the empire of the Golden Horde. 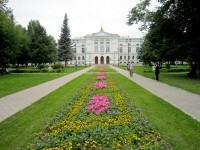 Famous people like Lenin and Tolstoy studied at the University of Kazan which was founded in 1804. Other than the Russian Academy of Sciences, there is the Russian Islamic University Medrese founded in 1998, mosques and several monasteries. Kazan has an ancient cathedral and its museums, theatres and breathtaking views are what it is famously known for. The Kazan Kremlin for example is a World Heritage site. The Republic of Tatarstan is one of the most prosperous cities. Also one of the largest cities in Russia, Tatarstan borders with Kirov, Samara, Ulyanovsk and Orenburg Oblasts. For rivers, Tatarstan has several major rivers namely, Belaya River, lk River, Kama River, Volga River and the Vyatka River. Belaya River is about 1430 kilometers long and in the Bashkortostan and Tatarstan with its source lying in the south-western Ural Mountains. It flows into the Karma River near Neftekamsk. The best activity on this Ural’s river is rafting. Ik River flowers north to Kama River and through the Republics of Bashkortostan through Orenburg Oblast. 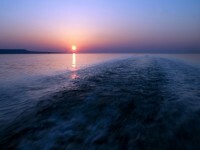 As for the Kama River, it starts in Udmurtia near Kuliga and it is a major river in Russia. It is known locally as Chulman and it is considered the origin of the Volga. The total length of Kama River is 1805 kilometers and the cities located on the banks of this river are Berezniki, Solikamsk, Perm, Naberezhnye Chelny and Sarapul. There are dams built at its several locations such as Perm, Chaykovsky and Naberezhnye Chelny. This is the largest river in Europe considering its discharge, watershed and its length. It flows through central Russia and eleven out of twenty largest cities of Russia are situated in the Volga’s drainage basin. The Volga is about 320 kilometers southeast of Saint Petersburg, the Volga heads east past Lake Sterzh, Tver, Dubna, Rybinsk, Yaroslavl, Nizhny Novgorod, and Kazan.